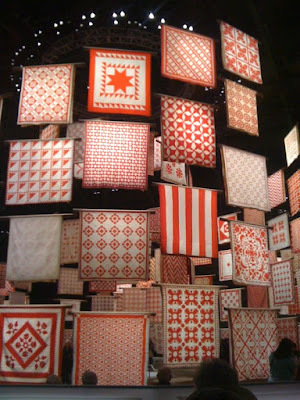 One of our favorite buildings in New York, the Park Avenue Armory--aka the Seventh Regiment Armory--is playing host to a wonderful, free exhibition, Infinite Variety: Three Centuries of Red and White Quilts. The catch is that it is only up for two more days, so if you would like to see it, you must go today or tomorrow. The regiment was called in to quell the Astor Place riots and was instrumental in the military’s role in ending the Civil War Draft Riots in 1863…. In the 1870s, the city ceded the regiment a block on Fourth Avenue between 66th and 67th Streets. 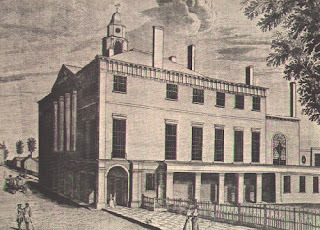 Originally, this had been part of Hamilton Square, one of the few pubic plazas that had appeared on the original Commissioners’ Plan of 1811 but had never been built, in part because it lay along the awful stretch of Fourth Avenue that was the New York and Harlem Railroad’s right of way. While the city was happy to rent the land to the Seventh Regiment for a nominal fee, neither it nor the state had any funds available for construction, so the regiment was forced to raise its own funds. It turned first to its wealthy members, who contributed $200,000, before holding events to raise more. From that point forward, the regiment and its new headquarters would be associated with large events, from fairs and grand balls to sporting events and antique shows. The regiment picked one of its own veterans, Charles Clinton, to design the building. The massive structure, opened in 1880, takes up the entire block between Park and Lexington Avenues. The rear section was a drill hall—at the time, the largest interior drilling space ever created, spanned by a tremendous 300-foot barrel vault—and the front was three stories of meeting rooms for the various regimental companies. These rooms are some of the most lavishly appointed in the city; of particular note are the Veterans’ Room and Library on the main floor, which were done by Louis Comfort Tiffany’s Associated Artists, and remain today the most complete Tiffany interiors. While the Tiffany rooms aren't open to the public, the massive drill hall is playing to host to this wonderful exhibition of mainly 19th- and early 20th-century quilts. Even if you have zero interest in quilts, the show is worth seeing. Innovatively hung by Thinc Design--the same people who are working on the September 11th Museum at the World Trade Center site--at first glance, the show has more in common with a showcase of Abstract Expressionism than Americana. But once you begin to delve into the designs of the individual quilts (and there are 650 of them from Joanna S. Rose's personal collection), the show becomes a primer in American history and values from the 19th century. The exhibit is open today, Tuesday 3/29, from 11:00-7:00PM and tomorrow, 3/30, from 11:00-5:00PM. Today marks the 150th anniversary of the unification of Italy. 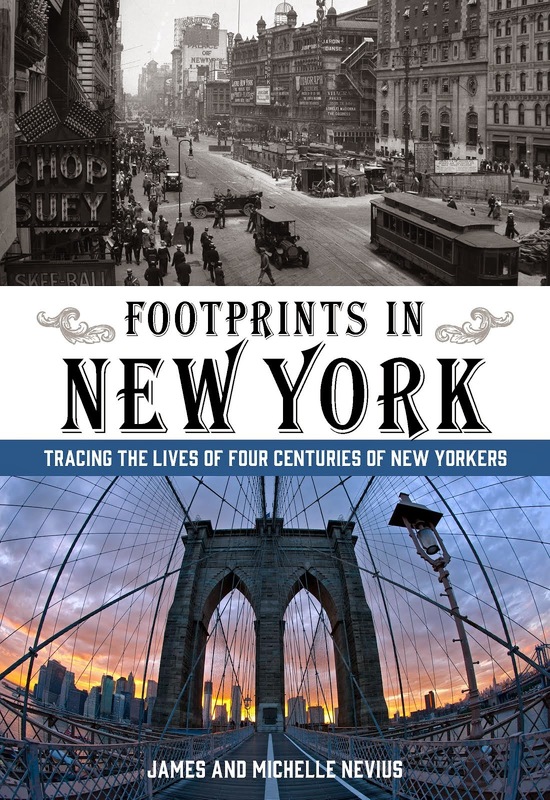 Not only does New York have a large Italian community (by 1920, it was one of the top ten Italian cities in terms of population), the city also has direct ties to the man who made modern Italy possible: Giuseppe Garibaldi. During Garibaldi's second exile (the first was in South America), he arrived in New York on July 30, 1850. 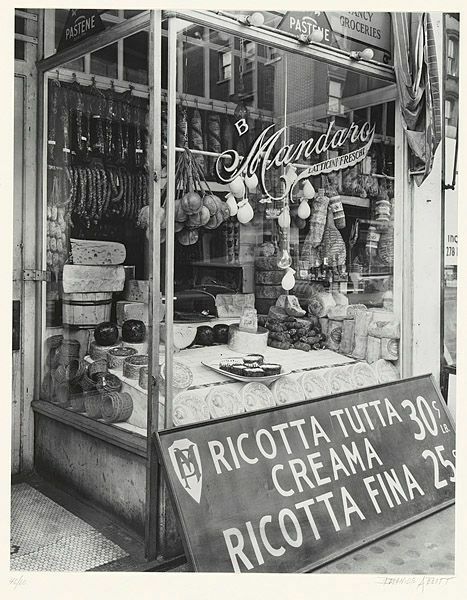 During his nine-month stay, he was employed by Antonio Meucci, who owned a candle factory on Staten Island. Garibaldi's Staten Island cottage is now the Garibaldi-Meucci Museum. This Sunday, March 20, the museum is hosting Massimo Riva, chair of the Italian Studies department at Brown University, who will discuss the Risorgimento and Garibaldi's life as told through the 273-foot "Garibaldi Panorama," a watercolor painting in forty-nine scenes. The photo above shows the Garibaldi statue in Washington Square Park, which--last we checked--was still inaccessible due to the park's ongoing restoration. Read more about Italians in New York in Inside the Apple. If you are looking for a history-minded way to celebrate St. Patrick's Day, head down to St. Patrick's Old Cathedral on Mott Street in NoLita this Saturday, March 12, to hear the Mass celebrated in Irish. The cathedral, made of schist and designed by Joseph-Francois Magnin, who was at the same time working on City Hall, was dedicated on May 14, 1815. The building was one of the largest churches in its day—120 feet long from the entrance to the apse, with a vaulted ceiling rising 85 feet above the floor.... Locating the church this far north of the city was strategic. In 1815, the cathedral’s property on Mott Street was still in the countryside, far beyond the day-to-day reach of most New Yorkers. (It is a little over a mile north of City Hall.) With Catholicism treated with a mix of skepticism and hostility, building the cathedral far from the eyes of the Protestant establishment was simply a measure of safety. Today, people sometimes wonder why St. Patrick was chosen as the patron of this cathedral when New York wouldn’t see a great influx of Irish until the potato famine in 1845. 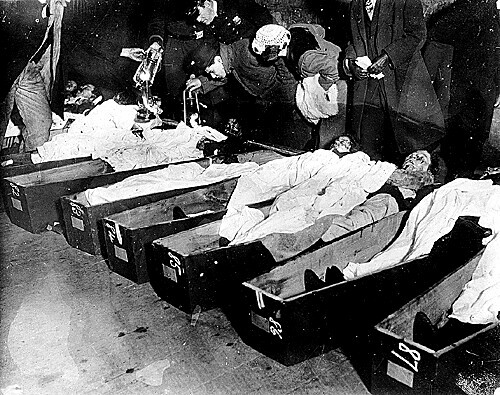 However, when the cathedral opened, the first Bishop of New York, John Connolly, described the 17,000 Catholics in the city as already being “mostly Irish.” The city even had an Irish paper, the Shamrock, which had started publication in 1810. 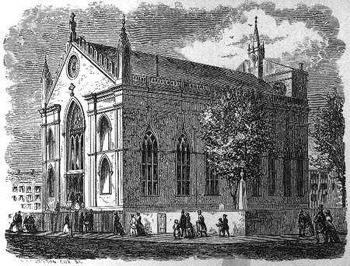 When the "new" Saint Patrick's in Midtown opened in 1876, the Mott Street building became a parish church. In December of last year, Archbishop Timothy Dolan elevated Old St. Patrick's to the level of Basilica for its "historical, spiritual, cultural and artistic value. This is still a living, breathing, loving, embracing, serving parish." The Mass on Saturday at Noon will be concelebrated by Fr. Aidan O’Driscoll of County Cork. There will be Irish liturgical music by Cantor Paddy Connolly with accompaniment by Jared Lamenzo on the Cathedral’s historic 1868 Erben organ. There will be readings in Irish by New York University’s Pádraig Ó Cearúill and Clare Curtin, longtime member and former trustee of the New York Irish History Roundtable. Following the Mass, the Washington Square Harp & Shamrock Orchestra will entertain the crowd with live ceili music. The Mass and reception following are free (donations are welcome). Old St. Patrick's is on Mott Street between Prince and Houston. For most of America’s history, today—March 4—marked inauguration day. When the Constitution was being drafted, an early March date seemed practical; votes in the general election were cast for electors, and those electors would have to find the time to make their way to the nation’s capital (then New York City) to choose the president. The very first inauguration was actually April 29, 1789, when George Washington was sworn in on the balcony of Federal Hall on Wall Street. (Federal Hall National Memorial, an old US Treasury Building, now marks the spot.) Less than a week later, Congress convened in the same building for the first time, and from that point forward March 4 was the day that power transferred. The first March 4 inaugural was in 1797, when John Adams succeeded Washington in a ceremony in Philadelphia. Thomas Jefferson was the first president inaugurated in Washington, D.C., in 1801, and Franklin Delano Roosevelt was the last to be sworn in on that day. In 1933, the Twentieth Amendment to the Constitution was ratified, shortening the lame duck period for Congress and the President and moving the President’s swearing in to January 20. Throughout the Nineteenth Century, there were plenty of Presidents who were sworn in on dates that weren’t March 4. If inauguration day fell on a Sunday, it was usually pushed to the next day (though sometimes it was Saturday instead). Beginning with John Tyler, a number of Vice Presidents had to assume the office upon the death of the President. New Yorker Chester Arthur, Vice President under James Garfield, was sworn in September 19, 1881, at his home on Lexington Avenue before heading to DC to assume the presidency. Among the biggest commemorations today is the 150th anniversary of Abraham Lincoln’s first inaugural in 1861—which was, not at all coincidentally, also the day that the Confederate Stars and Bars were adopted as the flag of the states in rebellion. You can read Lincoln’s speech here.